Happy Easter, friends! The Easter Bunny whispered to me that some of you are itching for a new read. Since the Easter Bunny & I are pretty close I figured I’d help him out a little and do an Easter Flash Giveaway! Contest ends Wednesday April 8th @ 6 PM EST. 1. 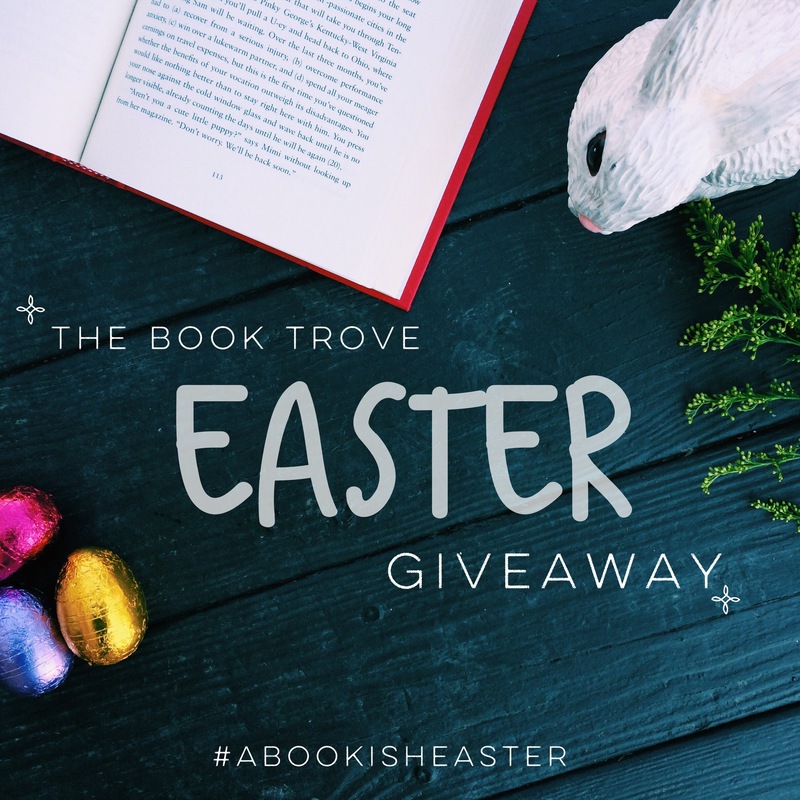 Head over to our Instagram or Twitter page and like and repost our Easter giveway post with #abookisheaster. 2. Follow us Instagram and/or Twitter. 3. Tag a friend to earn a second entry! 1. 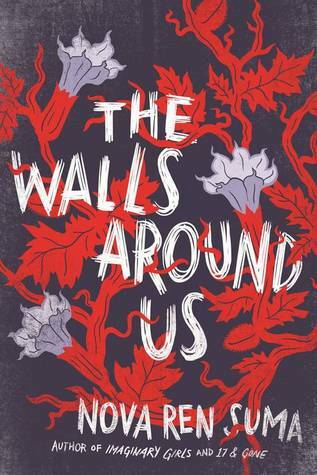 Open internationally to wherever the book depository ships. 2. If under 18, you must have parental consent to release mailing address upon win. 4. Please only repost/retweet photo once. To gain a second entry mention/tag a friend. This giveaway is open for 72 hours so “hop” to it and enter! Hello book friends! 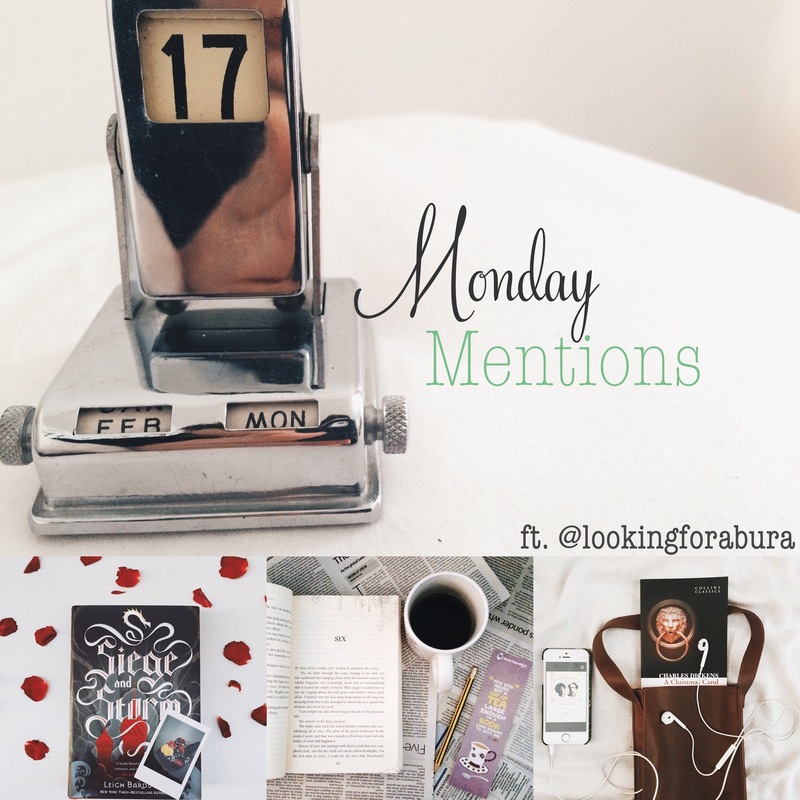 I am starting a new segment called “Mention Mondays” featuring a few bookstagrammers/bloggers who are super awesome and who I think you should follow! First up is Abeer. She is super creative, an awesome photographer, and always writes the nicest comments on my Instagram photos. To get to know her a little better I asked her a few things about herself and about some of her fave bookish things! 🙂 Go check her out. Currently Reading: I’m doing a buddy read for the book Siege and Storm by Leigh Bardugo and I’m enjoying this series so far…Also, re-reading Harry Potter and the Chamber of Secrets for the #mugglesreadalong we hosted. Fave book: Wow! I suppose this is the hardest question ever! I will have to stick with my first love, though, HARRY POTTER series. I am also adding Neil Gaiman and F. Scott Fitzgerald books! Interesting Fact: I have a thing with bad-boy-and-broken-girl-characters. 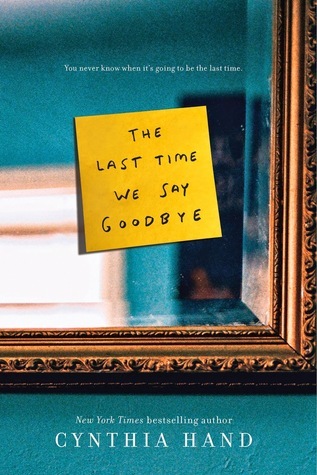 I’m a sucker for tragic endings. But sometimes, a happily ever after doesn’t hurt. Reading Spot: Bed or sofa, sometimes at the bus stop. Fave genre: I don’t really stick to one genre. I explore different worlds. And I fancy any book as long as it suits my current mood. Other stuff: I’m really a boring person. If I’m not reading, I write blabs and do street photography. I love music but I can’t sing, I love watching coking shows and I can’t cook. Check back next Monday for another awesome account! Know a bibliophile who has a soft spot for all things tech? Why not kill two birds with one stone by gifting them an e-reader this season?! There are so many e-readers on the market right now, honestly, it’s hard to keep up. I mean sure, you can get an iPad, but you don’t need to drop 500 buck-a-roos in order to get a quality e-reader. The Amazon Fire HD 6, for example, has a 6” display that not only offers an unlimited library through Amazon Prime, but also functions as a tablet giving you more entertainment options through games, movies, and apps. The best part about this tablet? It is only $99! This is definitely one of the most affordable tablets on the market. If you are looking for something that functions less like a tablet and more like an e-reader, Amazon also offers the Kindle Voyage. CNET has declared the Kindle Voyage the best e-reader to date, which obviously means it doesn’t come with a low price tag. Currently, the Voyage is $199. Barnes and Noble’s, Nook Glowlight, is another great e-reader that is also super affordable at $99. However, if you are currently a B&N member you can save even more by snatching it up for only $89! This e-reader can hold up to 2,000 books and is linked with B&N’s massive book database as well as their experts. I have ALWAYS told myself that I would never be an e-book reader. I’ll admit it I am a book snob. I thought I could never go without that feeling of flipping a page and of nearing the end of a novel. However, as a frequent book buyer who was trying to tighten her spending, I decided to branch out and give Oyster a try. 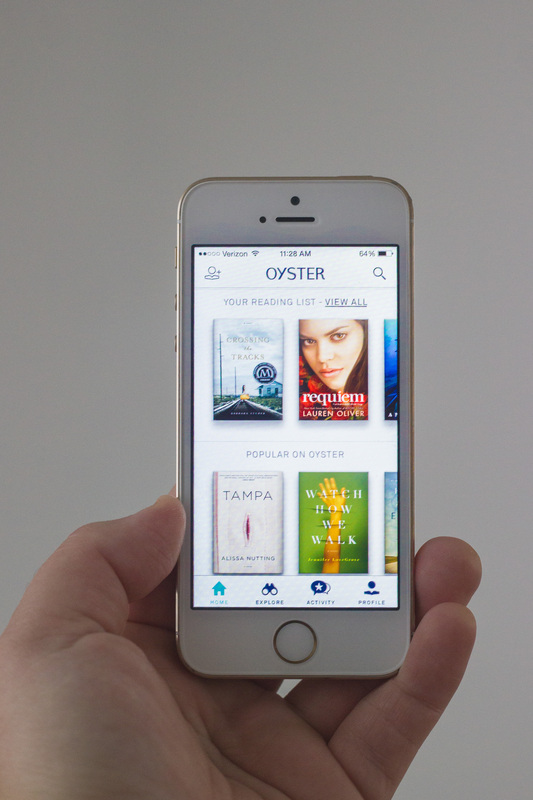 Oyster is a book subscription service that offers thousands of books via their website or through their app for about $10 a month. Honestly, this is one of the better decisions I’ve ever made (besides getting a library card). I have saved so much money and it has been so convenient. Anytime I am waiting (in line, at the doctors, on my sisters (:)) I can easily whip out my phone and catch up on whatever it is that I am currently reading. I am officially and e-book reader and I am not ashamed. There are many other e-book subscribers out there. One you may already know is Amazon Prime. There is also Scribd, which is very similar to Oyster, however is slightly cheaper at $9/month. 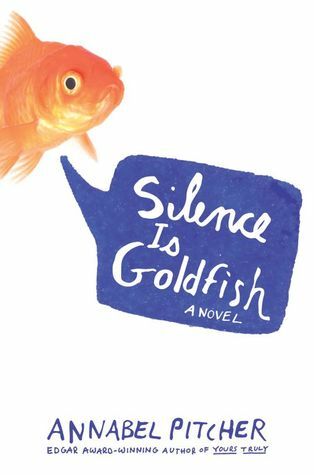 1 AWESOME NOVEL FOR FREE! 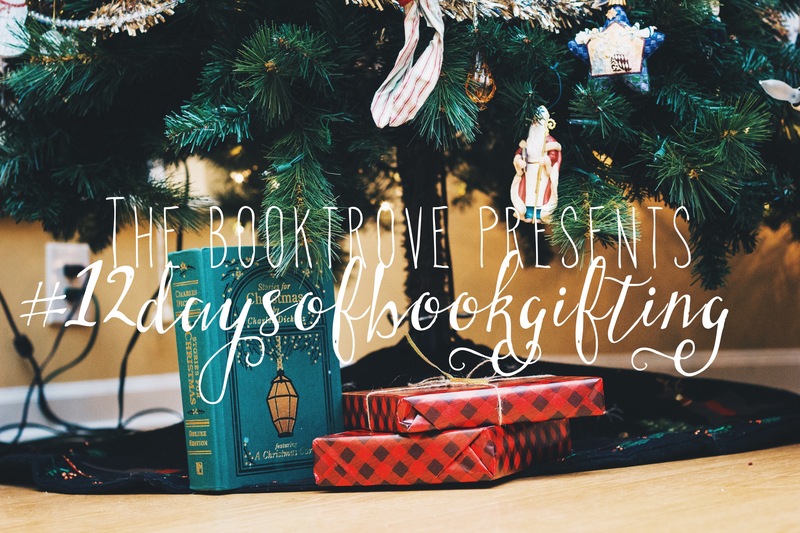 Today we are kicking off our 12 Days of Book-Gifting by giving you the chance to win any book of your choosing! (What?!!) How do you enter? 1. Head over to our Instagram page and follow us! 3. If you are under 18, you must have parental/guardian consent to provide your mailing address upon winning. 4. This contest is open to where ever the book depository ships. 5. Only one winner will be chosen. Don’t forget to check back tomorrow to see what gifts we recommend for all you booky-tech lovers!